When you need to be polite but not take on anyone else's baggage. When you are working with the public sometimes people leave a little more energetically than what you need... this helps keep the outside & often unwanted energy at bay, helping to keep you on track. 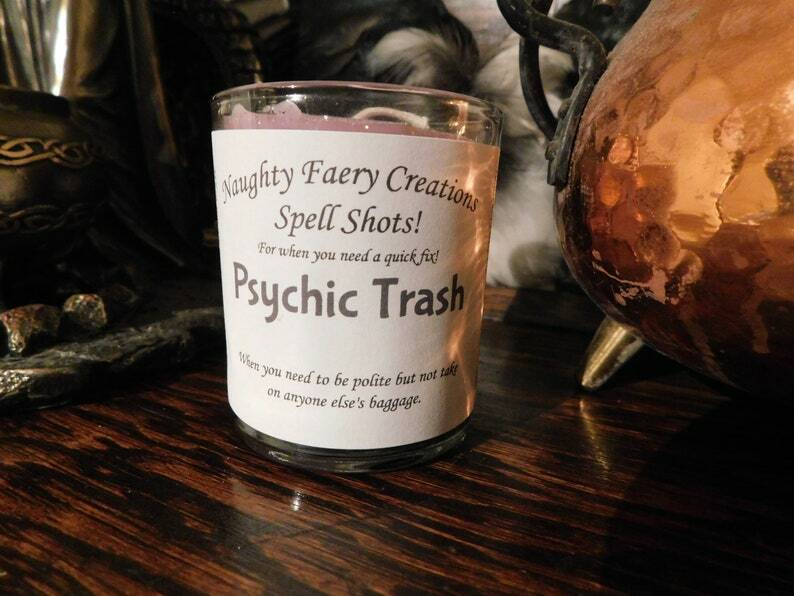 Literally created out of necessity when dealing with a high volume of clients. I love all of my clients but, yah, I don’t need to carry all of the things they are going through, with me. 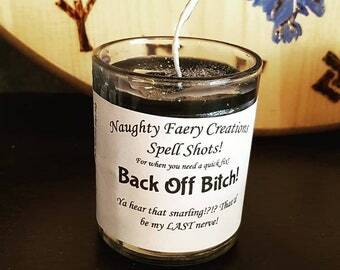 This candle is for unintended energy that is thrown upon you when people unload their life situations. It’s never intended to weigh you down, but sometimes this type of energy can get sticky. This can help keep you clean and clear. Lemon for brightness and cleaning, Rosemary for retaining information that is relevant to current and future tasks, and Angelica for ancestral help as needed, topped off with Rosemary, Broom, to sweep the non-useful things away, and Rue to maintain the proper energy field so you keep a good balance between what are your issues versus empathically taking on others.